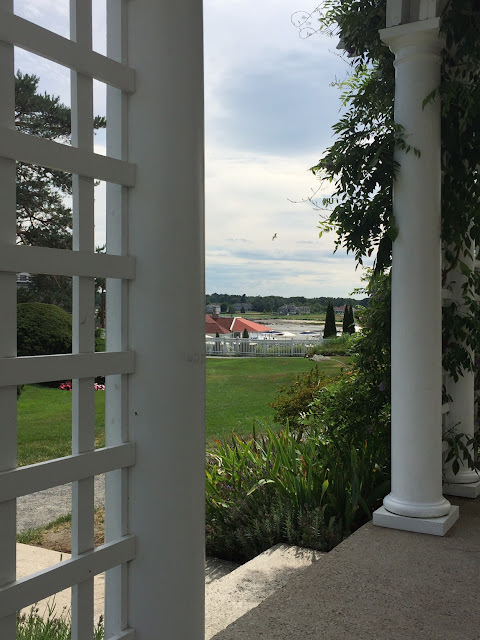 Richard and I love spending time at the beautiful Wentworth by the Sea in Portsmouth, NH. Last weekend we took a ride up the coast, figuring we'd pop into the hotel for a quick lunch and a drink. But after lunch, we ended up spending the entire afternoon there just relaxing. 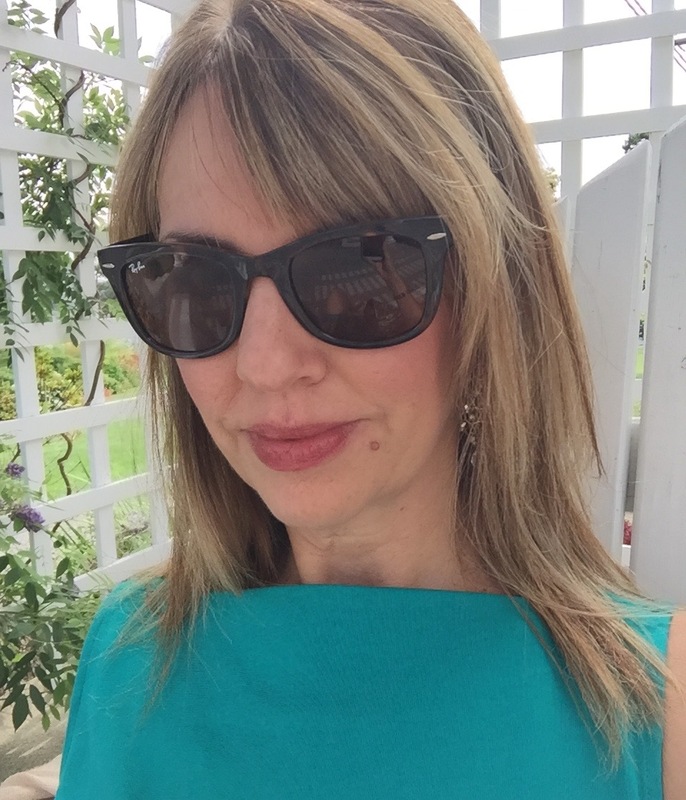 I wore a super comfy Kate Spade shift dress perfect for everything from lounging to going out to lunch. Here is the same style but in stripes (so cute!) and some other similar dresses HERE and HERE (LOVE). Gold is a neutral in my book and goes with everything. Other sandals I like HERE (LOVE!) and HERE (on sale for $24.99!). Judging from the wrinkles on my dress, you can take a guess at how long I had been sitting on a bench---pretty much all afternoon! And let me tell you, it felt GREAT to do NOTHING! Good sunglasses make a huge difference in cutting glare and keeping your eyes shaded from the harsh sun. These Ray Ban Wayfarers were a gift from my kids last year. I love how they fold up! 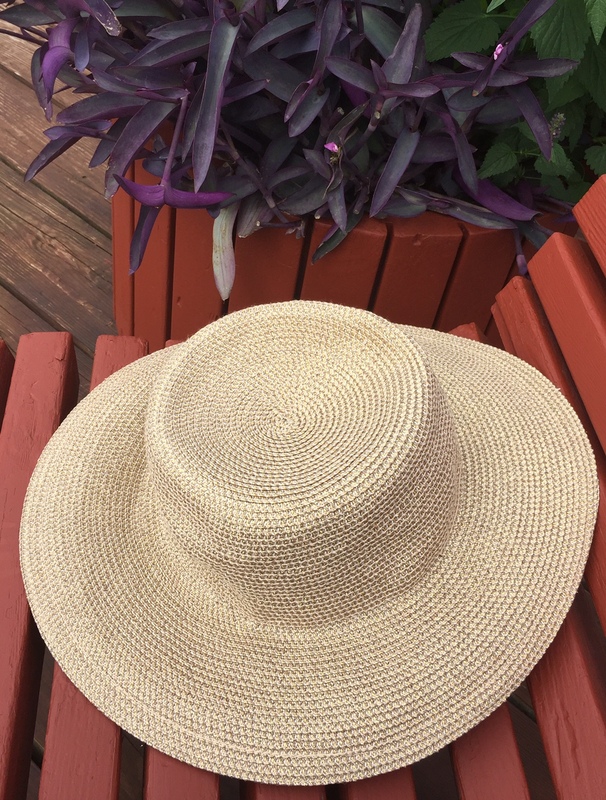 Another summer must-have is a wide brim hat to keep the sun off your face. There are so many fabulous inexpensive options like these HERE and HERE (both under $20). I tied in the gold with a metallic tote. 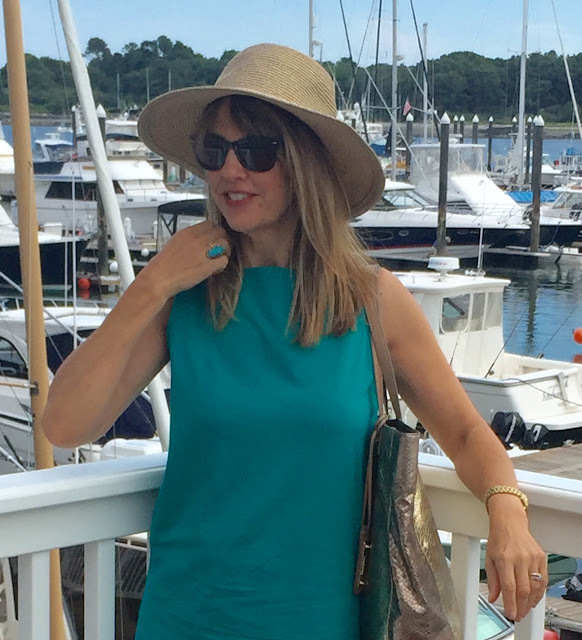 A tote is so practical in the summer--it holds my sunblock, an umbrella (you never know! ), and a light sweater. Hope you're having an amazing summer. Don't forget to take some time to do absolutely nothing. Hair by the amazing team at Robert Jason Salon. I love the dress, but I think the shorter length might make sitting risky. 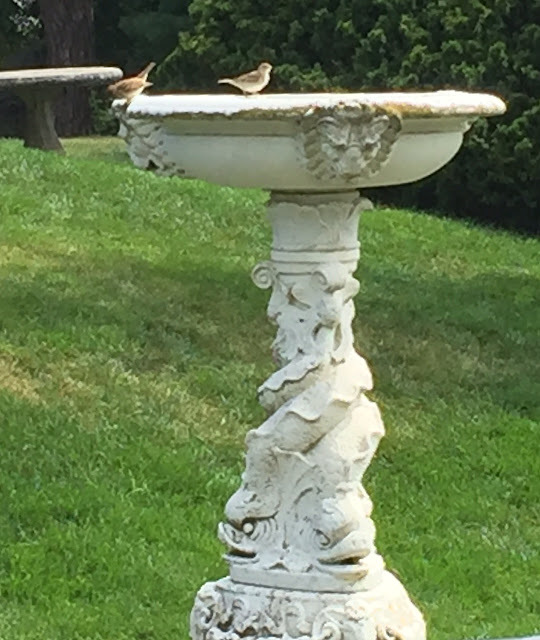 I notice all your photos are standing!